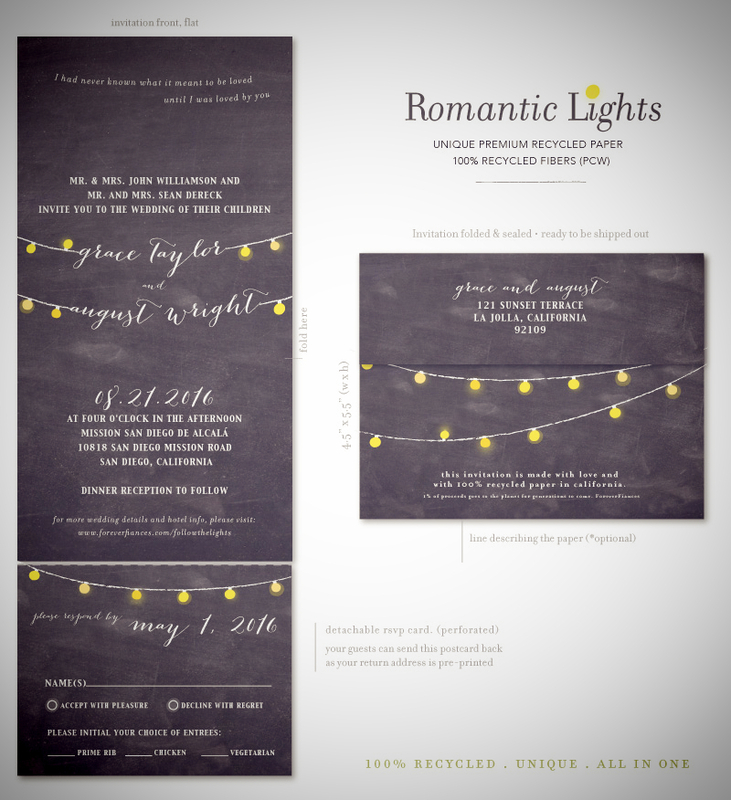 Romantic Strings of Lights Wedding Invitations | gather your favorite friends and family in an old courtyard on a warm summer night, for an unforgettable day! Illustrated on our premium 100% recycled chalkboard paper. Very happy with the final product and the customer service along the way. We just got our invitations and they are awesome. The design team was super fast (1 day turnaround) and our invites ships in just 4 days. They upgraded our shipping method to 2 day priority. We are so grateful to have found you guys! Many thanks to Tim and Paul. We love our invites! Wow really gorgeous! Fabulous company. They really care about doing a great job. Treat the customer well. Very refreshing to deal with a company of this quality.